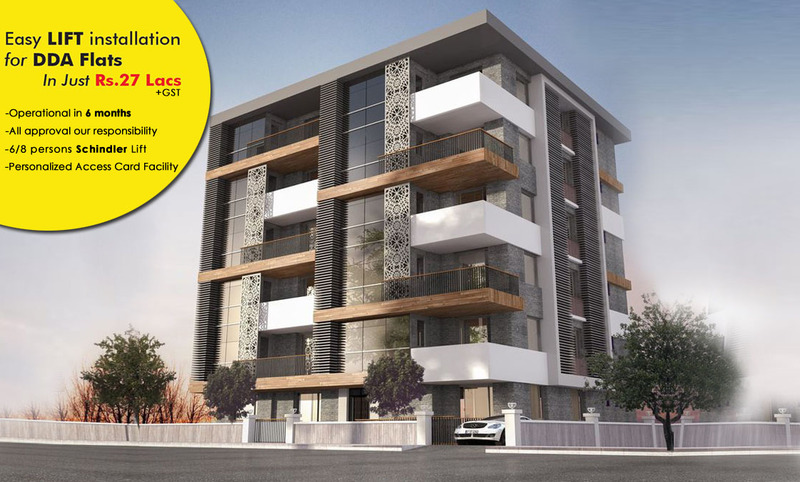 Hassle Free Construction in Delhi NCR @ 1850/sq.ft. Specification details will be sent to this Email. Meet us and solve all doubts regarding home building. Create customised floor plans with our architects. Get single quote for design, construction and approvals. Sign the contract and see us building your home. Envisioning your house is one thing, but seeing it in real life is another. We deliver your dream home within 12 months from the start date of construction so that you can get ready to make your dream a reality. To reiterate our promise, we will pay a penalty if we don’t deliver within 12 months. Legal procedures, cost-benefit analyses, finding contractors – all are hoops we’ll jump through for you. 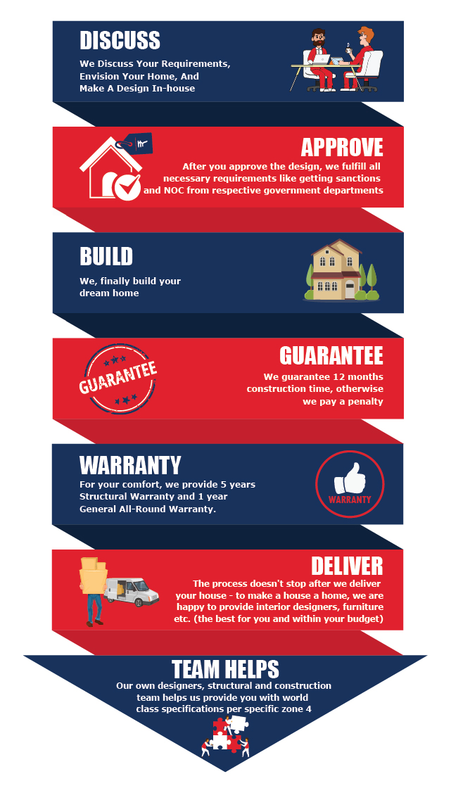 We are dedicated to making this journey easier for you, and we’re ready to go through all the requirements to make sure we deliver you the best possible house. Sit back, enjoy and relax because we want to make this process a happy process for you. We want you to be happy with your home, not just when you first step foot in it, but also 5 years down the line. Hence why, we offer a 5-year structural warranty and a 1-year general warranty. With the general warranty, any problem you face in the first year, you only need to call us. Whether it's plumbing problem, fixture problems or anything else, we're here to help. We’re here for you through thick and thin. Our job doesn’t end after we deliver the completed house to you. We want to help you make the transition from house to home. If needed, we are happy to provide interior designers, furniture, fixtures etc. We’ll provide the best of the best within your budget! 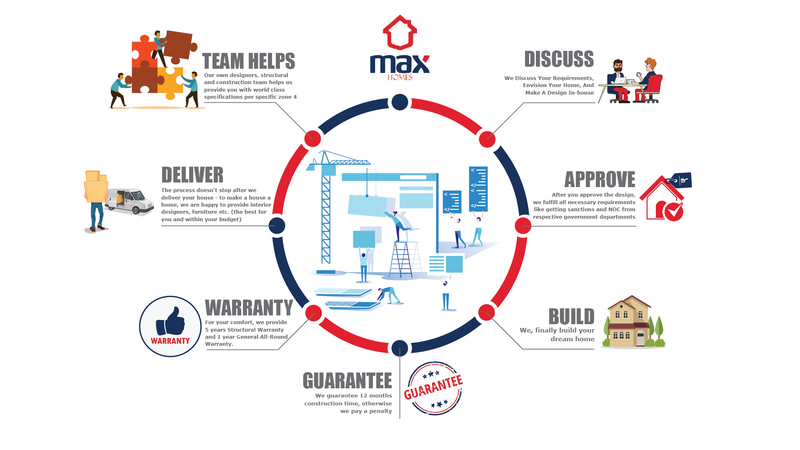 We, at Max Homes, understand that financing your dream home is not always easy. To help you get one step closer to your goals, we are ready to help arrange financing for construction using either banks or private financing. As an alternate financing option, we offer a barter / collaboration payment system as well. If you’d like, we can set up a system where you give us liquid assets in exchange for the construction of you home. Since we promise a hassle-free experience, we are ready and willing to help you sell your properties i.e floors/plots/flats or any other property, to generate liquidity. We’re only a call away – eliminate your tension and let us help you get the best price for your floors/properties.